There have been many changes to my Top 5 Pens list since the last update, mainly in the fountain pen area. I say lists plural because I have broken things down a bit differently to better address the fountain pen market related to what I am using. 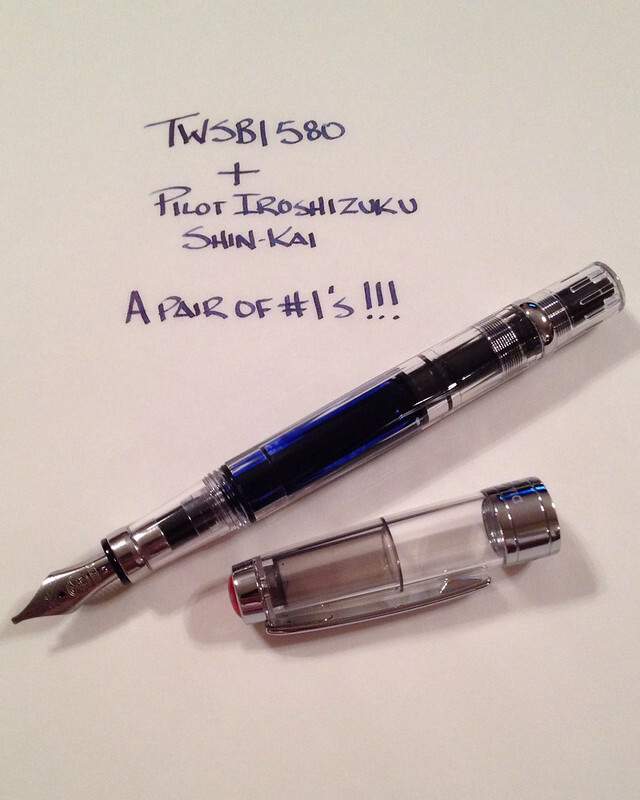 There are now two fountain pen Top 5 lists: One I am calling the "Easy To Buy Division" and the other I am calling the "Hard To Buy Division". Let me explain what I am trying to accomplish with these two lists. With the Easy list, I have included more common, readily available fountain pens. Pens you will find easily at most online retailers or in local pen stores. This list also encompasses some of my most recommended fountain pens for beginning and moderately experienced fountain pen users. The Hard list is a bit of a misnomer. These pens aren't hard to come by or hard to use. There is just something extra you need to take into account with each pen on this list. It could be price, it could be availability, it could be a different nib style. These are pens I would recommend to more experienced fountain pen users, or at least people who know what they are getting into when buying one of these pens. I think both lists are valid and necessary to relay the information I have learned over the years. The only thing I don't care for are the names of the lists. If you can come up with something better to describe what I am trying to accomplish with the two lists I'm all ears. I have also added a brand new list of my Top 5 fountain pen inks. This was the most requested list since my last Top 5 post and was fun to put together. Look for constant change in this one. There were a few minor tweaks to other lists, namely the Overall list and the Micro Gel list. I also added a running list of my favorite Field Notes editions on my Field Notes Collection page so be sure to check that one out as well. Lists are fun and I enjoy putting them together. If you have any feedback please let me know! Posted on October 15, 2013 by Brad Dowdy and filed under Top 5.